Local resident Duane Lamb has logged his 1,000th flight with MARC AIR, or Medical Air Rescue Company in Valentine. Duane has been in EMS serving the region since becoming a first responder for the Cherry County Hospital in 2001 in the Kilgore area. Duane stated that he began serving in EMS when he saw a need for first responders in the Kilgore area, and continued his education, going on to get his Emergency Medical Technician license and EMT-I before becoming a paramedic. Duane has since moved to Valentine and continues to work with the Cherry County Hospital Ambulance, the Rosebud Ambulance Service, as well as MARC AIR, where his is the Base Manager in Valentine. Duane began working for MARC AIR shortly after the base opened in Valentine in the summer of 2011. 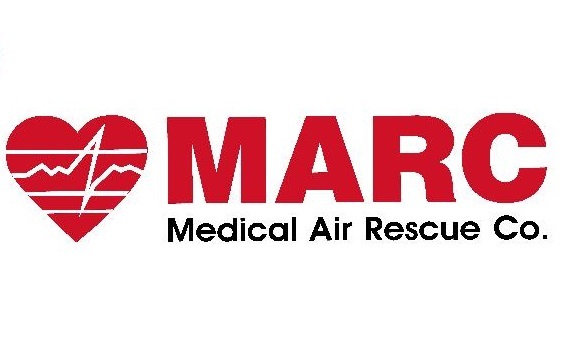 MARC AIR is based in Rapid City, SD.